This post was written by Blake Freeman, one of our Support & QA superstars. 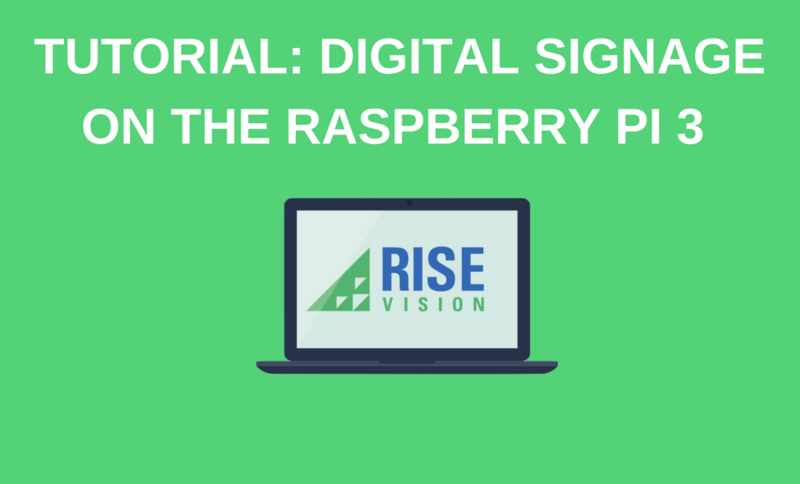 He decided to document his experience with getting started with digital signage on the Raspberry Pi 3 using our Rise Player and we couldn't be more excited to share. Keep reading to see exactly what Blake did to get started with digital signage on the RPi. Rise Vision is a great place to work. No matter what your “day to day” job is, you’re encouraged to speak your mind and suggest improvements. A lot of companies I’ve worked for have had a suggestion box that gets a few submissions a week and are rarely followed up on. At Rise Vision, if you suggest an improvement, be prepared to follow through with it nearly immediately. Rise Player on Raspberry Pi has been high on many Rise Vision employees suggestion lists for a while now. I was ecstatic when I heard that one of our development teams was taking on the project. Having a fully supported player for Raspberry Pi was a big undertaking. We had a player for RPi 1, but due to underpowered hardware and a version of Rise Player that was reliant on an unsupported browser, it wasn’t a lasting success. When the hardware for the Raspberry Pi 3 was announced, we all knew that the demand for this product would increase. I know that this was something the company wanted to build. So, let’s backtrack to when Rise Player for Pi 3 was initially announced internally. Many of our employees immediately purchased Pi 3 hardware so we could get alpha and beta releases up as soon as possible. Everything above, under $100 shipped (with my Prime membership), and $22 of that is a keyboard that I can reuse on other projects. Could you save money on some of these parts? Sure. Most everyone has a USB Power Supply and SD card laying around, and you really don’t have to buy a case. Most people could probably get into the world of Raspberry Pi digital signage for under $50. After fumbling with the assembly of the lasercut case for about 30 minutes and finally YouTubing how to put it together, things were a breeze. I followed the documentation on raspberrypi.org explaining how to turn the Samsung SD card I bought into a bootable drive with an Operating System. Once it booted and connected to my wireless network, I installed Rise Player for Pi. You can see those instructions in the Help Center. This Display was going to live on my desk where I work everyday. I knew that I wanted a daily calendar to show what events I have coming up. I also wanted to have family photos (ok... pictures of my dog, Emmett), and an RSS feed of comic book related news because I’m a huge nerd. I settled on the Events Calendar template. A couple of minutes of configuring the Calendar Widget, and I was ready to add the rest of my content. In the right hand section of the template, I removed the “Inspiration” Placeholders, and added a Placeholder with the Image Widget, and another with the RSS Feed Widget. 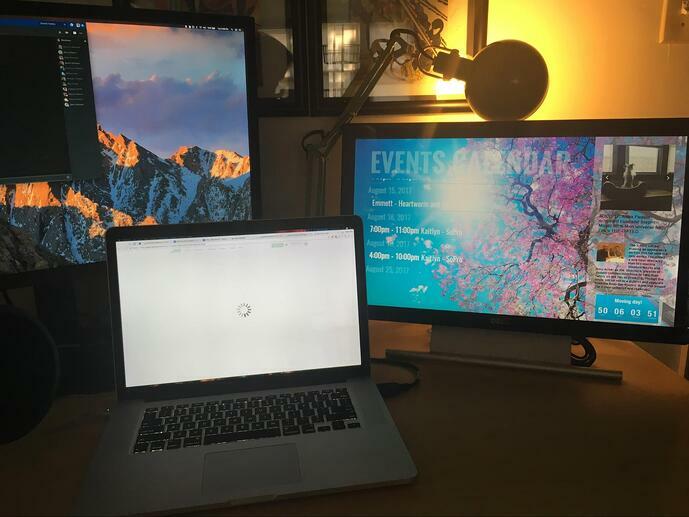 After completing my Presentation, I scheduled it and assigned my Display then switched everything back on. Blammo! Easy to update desk Display on the cheap. I’ve had this Display running 24/7 since the end of April. It has been extremely reliable, and economical when it comes to my electric bill. If you’re looking for household digital signage or to just get started with a low cost media player, to keep your family on the same page, Rise Player for Raspberry Pi is a solid choice. Do you have experience with digital signage using the Rise Player on Raspberry Pi? We’d love to hear about it in our Community. If you’re new to Rise Vision, and you’re confused about how to create a Presentation, Scheduling, or Adding a Display, you might want to start at our Getting Started Guide or How to Get Started with Rise Vision post! 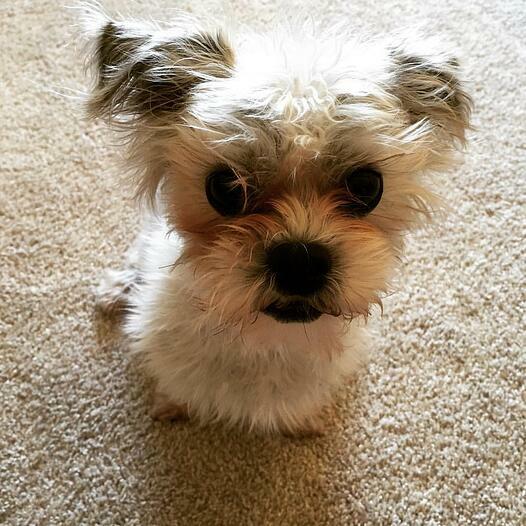 I know you all want to see a picture of Emmett.